Massachusetts police officers assigned to protect public safety at roadside construction details are increasingly becoming the victims of car accidents themselves. On Dec. 5, a Peabody police officer was struck by a 1991 Chevrolet pick-up truck while working on a Rte. 1 construction detail. He was thrown over the truck’s hood and transported to Massachusetts General Hospital with serious personal injuries. An initial police investigation found the driver was speeding, but it remains ongoing. In recent years, negligent drivers have struck police officers on several construction details in Massachusetts and caused life-threatening personal injuries. In June 2010, state police Sgt. Douglas Weddleton was killed while working on a construction detail on Interstate 95 in Mansfield. The driver was charged with operating under the influence as well as other driving infractions. Police officers are not the only ones vulnerable in construction site accidents. Construction workers as well as pedestrians, homeowners and others nearby are also at risk for injury, especially during night construction. Avoid Construction Zones If Possible. 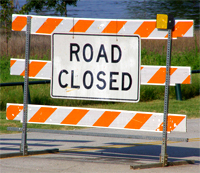 When you find a construction project on your daily commute, see if you can find an alternate route until work is complete. For projects in your local community, pay attention to your town’s government website and contact the police department’s business line if you have questions. Identify Who Is In Charge of Traffic. Detail police officers typically direct traffic on many sites, but other work sites utilize civilian flaggers. The civilian flaggers should be dressed in fluorescent clothing and carrying traffic direction signs. Give Other Drivers Space. Do not travel too closely behind other vehicles. It can be difficult to anticipate when another vehicle may stop short. Slow Down. We all want to reach our destinations on time, but once you are stuck in construction traffic, it is best to take a deep breath and be as patient as possible to avoid a car accident. Keep Your Eye on the Traffic. When there is a lot of activity going on at a construction site, there is a natural tendency to look at the crew and different machinery. But it is important to keep your eyes on the road. Do Not Stop to Talk to the Detail Officer. Even if traffic volume is low, do not stop and ask the detail officer for help or directions. You are putting the officer at risk and confusing other drivers. Avoid Construction Work Zones At Night. A large number of car accidents occur during night construction work because drivers are speeding, fatigued, operating under the influence or poor lighting. Pedestrians and Cyclists. Like cars, it is also important for pedestrians and cyclists to follow the detail officer’s instructions for when to pass. Anyone who has recently purchased a $100 bike at Walmart wants to pay attention to a bicycle recall issued this week. 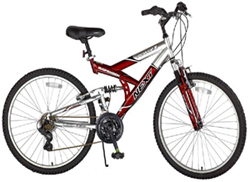 Bridgeway International of Naples, Florida has recalled 91,000 “NEXT”-branded men’s 26-inch hybrid bicycles. The products have a defective bicycle chain that can break and cause the bicyclist to lose control and fall in a bicycle accident. The importer is aware of 11 reported incidents, including nine involving lacerations and other personal injuries. The bicycles are red and orange and are marked “Power X” and “Suspension.” They were sold at Walmart from February 2011 through July 2011 for about $100. The model numbers are LBH2611M and LBH2611M2. The bicycles were manufactured in China. Consumers are advised to stop using the recalled bicycles. They can contact the company for a free repair at 877-934-3228 or visit www.powerxbike.com for more information. Defective Specialized Bicycle Recall. Separately, 14,200 bicycles with a defective brake component were recalled this week by Specialized Bicycle Components, Inc., a Morgan Hill, California distributor. The bicycles have Advanced Group carbon forks and were manufactured by Advance Group, of Taiwan. The brake component housed within the bicycle’s carbon fork can disengage from the fork, allowing the brakes to contact the wheel spokes while rotating, posing a risk for falls and bicycle accidents. There have been two reports of brake components disengaging from the carbon fork. No injuries have been reported. The bikes were sold at authorized specialized retailers nationwide from June 2010 through August 2011 for $700 to $2,000. Consumers should stop riding these bicycles and return them to an authorized specialized retailer for a free repair or replacement. More information is available at 877-808-8154 or www.specialized.com. Tagged: "bicycle accidents", "bicycle recalls", "Boston lawyers" and "personal injuries"
After months of high snow banks, Massachusetts residents are eagerly awaiting the arrival of spring, when they can return to outdoor activities like gardening and bicycle riding. If you’re a cyclist, the U.S. Consumer Product Safety Commission announced a few bicycle recalls you may want to note before the warm weather comes. Felt Bicycles has recalled their model 2011 F3, F4, F5, and F75 bikes due to a problem with the bicycle fork (the part of the frame that connects the handle bars to the front wheel and allows for steering and balance). The forks on these defective bikes have a danger of breaking, causing the rider to possibly lose control, have a bike accident and suffer personal injuries. Owners of these Felt bicycles are instructed to stop using the defective bikes immediately and contact their local dealer (866-433-5887) to receive a free inspection and repair. REI has recalled their Novara Fusion bicycles with serial numbers U95Y07321, U96Y28393, and sequentially from U96Y28876 – U96Y29128 due to a problem with the bicycle fork. The forks on these defective bikes have a danger of separating from the alloy steerer tube, causing the rider to possibly lose control, have a bike accident and suffer personal injuries. Owners of these REI bicycles are instructed to stop using the defective bikes immediately and contact their local dealer (800-426-4840) to arrange for a replacement fork to be installed free of charge. Tagged: "bicycle recalls", "Boston product liability lawyers", "defective bikes" and "personal injuries"
Pedestrians need always be concerned with the cars and trucks they travel alongside, but winter is a time to practice extra caution to avoid pedestrian accidents. Bad weather and areas where sidewalks are not shoveled pose new threats to pedestrians during this time of year. 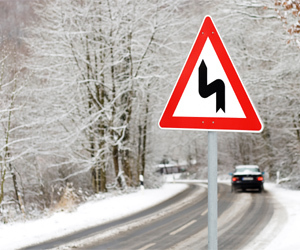 During and after snowstorms, drivers struggle with road conditions and visibility, increasing the risk for car accidents and pedestrian accidents. A driver’s ability to see pedestrians is often impaired by large snow piles and shorter hours of daylight. Pedestrian accidents are more likely in areas where sidewalks are not cleared and pedestrians are forced to walk in the road. Limit your walking where snowbanks are high. If you have to walk outside, avoid walking at night or during the snowfall, when there is less visibility. If you can, find out in advance whether the area you will walk has cleared sidewalks. This is important on busy traffic routes, back roads and highways. Plan accordingly. If you have to walk outside, carry a cell phone in case of emergency. But do not use it while walking in the roadway or crossing the street. To avoid a pedestrian accident, wait until you reach a sidewalk or a safe area in a parking lot. (Some states are considering banning cell phone use while crossing streets. Click here for a New York Times article on the subject). Even if it is not the law, it is good practice! Wear lightly or brightly colored clothing. Reflective neon clothing can provide benefits in both daylight and night hours by allowing drivers to see pedestrians sooner and adjust their driving if necessary. Some walkers use flashlights or even flashing lights to warn vehicles. If you see a commercial truck with snow on its roof, contact the company to report the driver. Snow on top of a vehicle can slide off and be thrown at other motor vehicles and pedestrians, causing car accidents and significant personal injuries. Look for the name of the company on the vehicle’s exterior or take note of its name. It’s best if you have at least part of the vehicle identification or license plate number. Several states have laws requiring drivers to clear snow from their vehicle’s roof. And if you are driving, take time to clear your car as well. This will increase visibility while you are driving, and prevent potential accidents for drivers and pedestrians around you. Tagged: "car accidents", "Massachusetts pedestrian accident lawyers", "Pedestrian accidents" and "personal injuries"
If you heat your home with oil, have a qualified oil heat service technician inspect and clean your system annually to remove soot build-up and ensure safe operation. Avoid replacing or repairing parts of your furnace or oil heating tank yourself. This could cause personal injury and damage your home. Contact a professional. Ask your oil company about Automatic Delivery to avoid disrupting your heating service. The company will use a computerized system that signal when tank volumes are low. One in every seven space heater fires in the past five years has resulted in a death, according to the Massachusetts State Fire Marshal’s office. If you use a space heater, be safe. Keep the space heater three feet from any person, pet or flammable material. Never leave a space heater unattended. Turn it off if you are going to sleep. Clean ashes from your wood-burning stove in between use to avoid clogging the vents. Avoid injury by disposing ashes in a metal container away from your home. Keep three feet away from wood-burning stoves to avoid burn injuries. Only burn wood in your wood-burning stove. Never burn household garbage, cardboard, plastics, foam or other materials. To keep pipes from freezing, wrap them in insulation, such as newspapers with plastic to keep out the moisture. Allow a small amount of warm water to trickle from a faucet near pipes you are concerned will burst. This allows the water to keep moving so it cannot freeze. Learn how to shut off your water valve if it bursts. Purchase a freeze alarm for your pipes. These can be purchased online for less than $100. Minimize time outdoors, especially for the elderly and young children. Dress in layers of loose-fitting, lightweight clothing rather than a single-layer of thick clothing. Cover all areas with mittens, hats and scarves. Try to wear water repellent fabrics. Hypothermia only occurs in extreme cases, but watch out for signs of shivering, memory loss, disorientation and exhaustion. If these symptoms are present or the person’s body temperature drops below 95 degrees, seek immediate medical attention. Also watch out for frostbite. Frostbite causes a loss of feeling and a pale appearance in the fingers, toes, the tip of the nose and other areas. Seek medical attention immediately for these symptoms. Click for more safety tips on other home heating devices from the Boston personal injury lawyers at Breakstone, White & Gluck. Tagged: "Boston personal injury lawyers", "burn injuries", "personal injuries", "space heaters" and "wood-burning stoves"
When you think of winter, you may envision a beautiful white snow fall. But in Massachusetts, we know after the snow comes the hard cleanup. For homeowners, the cleanup starts with frequently traveled areas, such as your front steps, driveway and sidewalks. It’s best to keep these areas shoveled and salted during the snowstorm as well as in the hours afterward, when freezing and snowdrifts occur. Staying vigilant is the best way to prevent slip and fall injuries on snow on your property. Next, remember your roof and rain gutters. Neglecting your roof can be a safety hazard for your family and cause significant damage to your home. When snow piles up on a roof, it acts as a sponge for sleet and rain. This will eventually leak and cause roof deterioration over time. The snow also puts weight on your roof, posing a threat for collapse. Check your roof throughout a snowstorm so you are aware of snow accumulation and remove it as soon as possible. Purchase a snow rake at your local hardware store so you can stand on the ground and clear snow. Do not purchase a metal snow rake. It can conduct electricity if it crosses an electrical line. Do not use a ladder to clear snow from your roof. The snow and ice on the ground and on your home are not stable enough to support a ladder. Clear large icicles from roof overhangs, doorways and walkways. Make sure you are capable of handling this cleanup yourself. If not, contact a local snow removal company. Check your rain gutters for snow accumulation. Remove snow from visible areas. 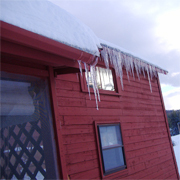 Clean your gutters twice a year to prevent snow from clogging up. It is important to keep your property safe by promptly removing snow after a snowstorm. Slip and falls in snow can result in severe personal injuries to you, your family and others. The law on cleaning up snow and ice have recently changed in Massachusetts, putting a greater responsibility on property owners. Click here to learn more. Months after a landmark court ruling regarding snow and ice removal in Massachusetts, the city of Newton is considering a sidewalk snow removal ordinance. The city initially proposed an ordinance requiring snow be cleared within 24 hours of a storm. Residents protested and city officials have proposed another ordinance allowing 30 hours. Businesses would still have 24 hours. The proposal is pending. Many municipalities have ordinances requiring residents to keep their sidewalks clear to avoid snow and ice accidents. In Boston, renters, property owners and management companies of residential buildings with less than six units have six hours. Commercial property owners, renters and management companies have three hours, as do managers and owners of residential properties with more than six units. Other communities provide larger windows of time. Springfield allows residential property owners and renters 24 hours while Worcester permits 10. These ordinances are designed to protect the public on sidewalks. But property owners have a responsibility to keep their entire property safe after the Supreme Judicial Court’s decision in Papadopoulos v. Target Corporation, SJC-10529 (July 26, 2010). Prior to the decision, property owners were liable for injuries sustained on what is known as an “unnatural accumulation” of snow or ice, such as a snow plow pushing snow onto a driveway. Now, property owners are liable for injuries resulting from natural accumulations as well, meaning they have a responsibility to keep their property reasonably safe and free from snow and ice after a storm. If you are using a snow blower, keep a shovel on hand as a back-up. Stock up on salt and use it regularly throughout a storm and in the hours afterward, when a large amount of freezing occurs. Walk your property after the snow falls. If you cannot move across it safely, others will be at risk. Ask yourself if you can handle your own snow removal. If not, contact a snow plowing company. For more information about your obligations as a property owner, visit the Breakstone, White & Gluck website. Click here to read about the city of Newton’s proposed snow removal ordinance. Tagged: "personal injuries", "premises liability lawyers", "snow and ice accidents" and "snow and ice falls"
Each day, it gets darker outside earlier and we are reminded that Daylight Saving Time is almost here. Next Sunday, Nov. 7, we “fall back” again and set our clocks back an hour. Daylight Saving Time began during World War I to take advantage of the longer days and save energy costs from increased sunlight. Retailers like it because they believe it increases evening shopping. But today, fire departments across the country use it as a reminder to check the batteries in your home’s smoke alarms. It’s important to follow this advice. Approximately every three hours a home fire death occurs in the United States. Eighty percent of these occur in homes without working smoke alarms. Many other people sustain serious personal injuries. Daylight Saving Time is also a good opportunity to test your smoke alarm, although the Consumer Product Safety Commission (CPSC) recommends smoke alarms be tested once a month. In between monthly checks, pay attention for failing batteries. It’s time for a new battery if a smoke alarm begins to chirp. This is the smoke alarm’s low-battery warning. Also make sure you have an adequate number of smoke alarms to protect your home. 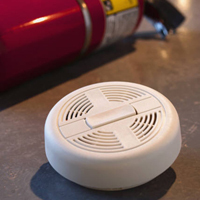 The CPSC recommends at least one smoke alarm on each level of your home. Make it a priority to place alarms near bedrooms and inside bedrooms. If you are changing the wiring in your house, wire your smoke detectors together. That way, if one goes, they all go. Another suggestion is to produce a fire evacuation plan and do a home fire drill. When there is a plan, people panic less and there is a better chance they will escape the flames faster. For assistance with this, visit the National Fire Protection Association’s web page on fire escape planning. For more information on smoke alarm safety, visit the Consumer Product Safety Commission’s website. Tagged: "Boston personal injury lawyers", "personal injuries", "smoke alarm safety" and "smoke alarms"
Baby boomers are taking to the open road on motorcycles at greater rates than ever before and as they do, their personal injuries and fatalities resulting from motorcyle accidents are increasing. 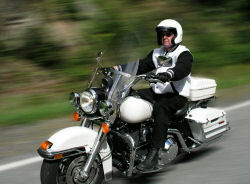 The American Motorcyclist Association reports its average membership age is now 48. The Motorcycle Industry Council trade association, meanwhile, reports the average age of all motorcycle owners increased from 33 to 40 years old between 1998 and 2003. The Massachusetts Department of Public Health reports the rate of motorcycle-related deaths and injuries in the state for riders between 55 and 64 quadrupled between 1998 and 2007. Additionally, although nationally there was a decline in motorcycle related fatalities regardless of age, Massachusetts experienced an increase in fatal motorcycle crashes. The state Department of Public Health is not the only one to notice a correlation between age and severity of injury. Researchers at the University of Rochester Medical Center recently found that motorcyclists over the age of 40 sustained more serious personal injuries, spent more time in the hospital, and were up to twice as likely to die from a motorcycle accident than riders under 40. Riders over 40 were 5% more likely than riders under 40 to require hospitalization in the intensive care unit. Riders over 40 were more likely to suffer complications such as blood clots, pneumonia, or infections. The Johns Hopkins Bloomberg School of Public Health found a 145% increase from 2000 to 2006 in death rates for motorcyclists over 65. Doctors report that there are several factors accounting for the increased severity and fatality of injuries sustained by older riders. First, older riders have less resilient skin, bones and blood vessels and cannot handle as much physical trauma as their younger counterparts. Additionally, older riders come into the hospital with more preexisting heath problems and take more medications that can complicate injuries. For more information, read this recent Boston Globe article about aging motorcyclists in Massachusetts. Tagged: "Boston personal injury attorneys", "motor vehicle accidents", "motorcycle accidents" and "personal injuries"